The Syndicate’s third Boss, Gareth Black isn’t afraid to step up to the plate and ensure the Syndicate Empire’s power never fades. The younger brother of Reese Black, Gareth has spent much of his life living in his sibling’s shadow. When Reese disgraced the Syndicate with desertion, however, Gareth was prepared to fill in his shoes. 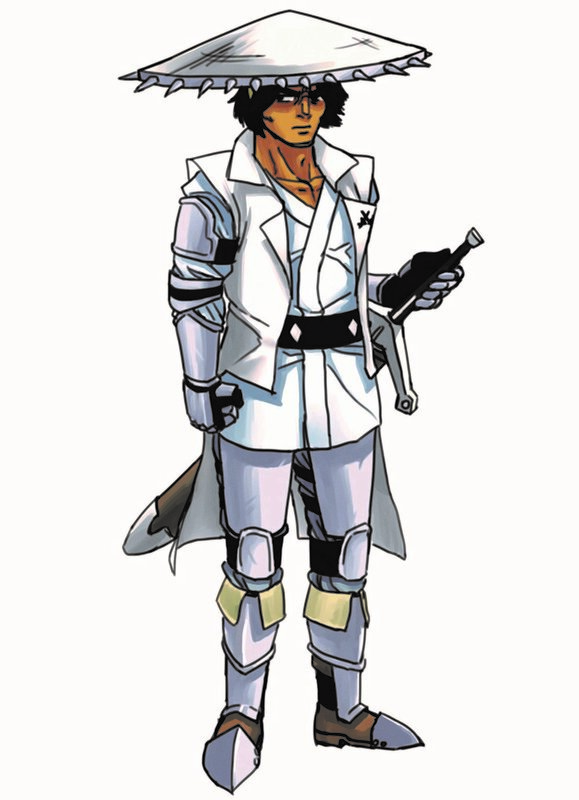 Learning the art of combat quickly, it didn’t take long for him to become one of Senia’s most skilled swordsmen. Though a novice at leadership, Gareth is unafraid to cut down anyone in his path, including his brother and his new allies, if it may come to that. Wielding Boss Arthur’s legendary claymore Caliburn and an iron fist with no tolerance for diplomacy, he is on the path to becoming the Syndicate’s fiercest leader.